Being in my line of work, I make use of dozens of test servers and virtual machines and from time to time I can forget what the administrator password is. To save time, usually I would use the Offline NT Password & Registry Editor to simply reset the password. 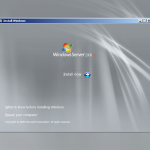 However I was told of another useful method using the Microsoft Windows Server 2008 installation DVD / ISO Image. It’s a breeze to reset the password so I thought I would share. 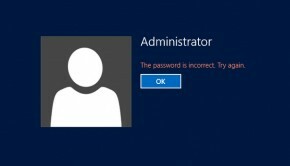 Personally I have tried this on a standalone Windows Server 2008 R2 but it should also work with Domain Controllers for resetting domain administrator passwords. From the Install Windows menu, click “Next”. 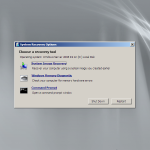 In the System Recovery Options, select the Operating System instance that you wish to repair and click “Next”. At the logon screen, press Windows Key + U. This will set the password for the Administrator user to be Password12 (case sensitive). 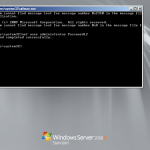 Closing the command prompt, you should now be able to log back onto the server using the password you have provided in the last step. 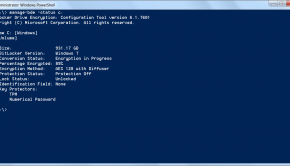 Once you have verified you can log on to the server you will have repeat the steps above and boot using the Windows Server 2008 DVD/ISO and run the command prompt again. You should be back up and running as if nothing ever happened. I received internal error 1359. Ended up opening MMC > Computer Managment and creating a new user. OfflineNT is awesome. I used it a long time ago, had reason to use it recently and was surprised it still worked! Thanks Kieran, worked a treat. Just a minor observation, in your notes you have “Password123”, in the screenshot it’s correct as Password12, so you just might want to change this as it doesn’t work with the Password123. Very nice trick! Thank you very much! but thanks for this trick. Very simple and clean instructions. Saved me! Work a treat for me and saved a lot of hassle to rebuild. Did have to search around for some info on VMWare guest bios updating but got there in the end. Re the post on password mismatch, to be honest you should be setting your own passwords, so what ever is typed in blogs/posts is for example purposes. So much about Microsoft security. It just goes to show, if you need to keep your data safe you shouldn’t just rely on a username and password. Hello, does this working in Windows 2008 Enterprise R2 and standalone? It does indeed, the machine I tested it on was actually a standalone Windows Server 2008 R2, that was not part of a domain. Very neat solution! However I have a low-end Proliant server with a simple RAID controller. When I get as far as bringing up a command prompt (the first time) there is no C: drive visible. I think this has something to do with the RAID controller? Anyway I have searched in vain – the only drives that can be seen are the DVD drive and the X: drive. Any suggestions? I had similar issues loading ESX 3.5 on an old ML110. I’m afraid you will need to get the drivers for the RAID card in order to mount the drives and access the Windows folder. What server do you have. Makes sense. The server is an ML150 G6 with a very basic Smart Array B110i controller. I think when I installed WS2012 I got a chance to load the drivers further into the Windows installation. I have the drivers on a CD. The hp Easy Setup CD normally loads drivers before handing over to the Windows installation but my Easy Setup predates WS2012, so was useless. I’m a bit vague about how to load the drivers and still be able to boot from the Windows DVD? 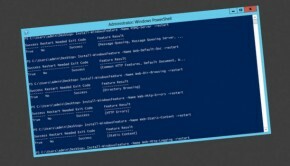 OS is Windows Server 2012 Essentials. I understand the process, but stumble over how to get the drivers for the RAID controller loaded. Without them the “Repair your computer” step fails because it can’t access the system drive (C: in my case). Guess it’s just my ignorance – I’m no sysadmin! Offline NT Password & Registry Editor only works with local administrator password. 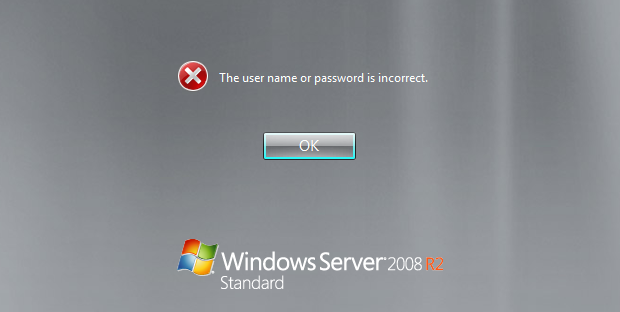 It doesn’t support domain user account on Windows 2008. That is why I choose to spend a few dollars to purchase the PCUnlocker Live CD. Genius! Thanks, saved me a lot of time! That’s down to Windows elevated security, the easiest way to rename it back might be to repeat how you replaced it in the first place. Just boot back into a command prompt using the installer DVD. Good luck, be sure to let me know how you get on. 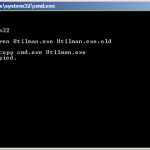 I followed all the steps and renamed the cmd.exe to Utilman.exe. However when I press Windows Key + U the utility manager still pops up? What gives??? That is very strange, perhaps your system is using different paths? First let me say thank you, great hint! But unfortunately I have the same issue as Dennis, the copy command to copy cmd.exe to Utilman.exe works fine, but in the same moment there is something happening in the backround and Utilman.exe is the original Utilman.exe as before, any ideas, thanks in advanced. I had the same problem as Tobias: “the system cannot find the path specified.”. My Windows partition was on D Drive and no C.
Thanks a lot for sharing! You just saved my day. Hi Kieran – nice article… I have this server at a client site for which someone has managed to get the Admin password locked or expired. Anyway, I will probably need to “break” in. So I will basically need to do a hard boot of the server? It is a Dell blade M520 – I don’t recall but maybe there is a way to shut down through the ILO console similar to powering off a guest OS from the host. Not sure if that’s any better though than just the good old fashioned hard boot. Thoughts? Hi Arjun, that’s correct I think you should have some kind of remote access via DRAC, where you will have to hard boot the server. The difficulty might be with mounting the DVD remotely but I am sure there is a way to do this in the DRAC console. Be sure to let us know how you get on. 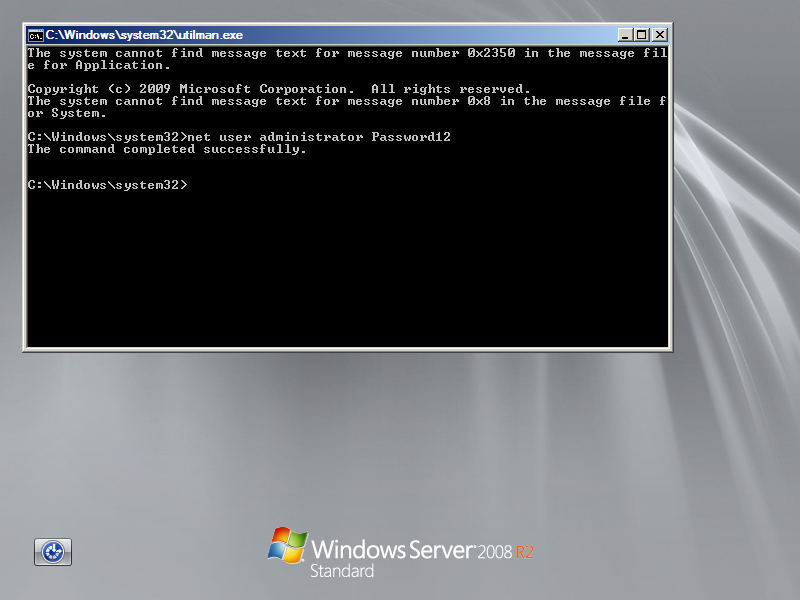 using this command after reboot “net user administrator Password12” below mention error getting. the server is part of domain but i have remove the server over the LAN. Thanks Kieran! 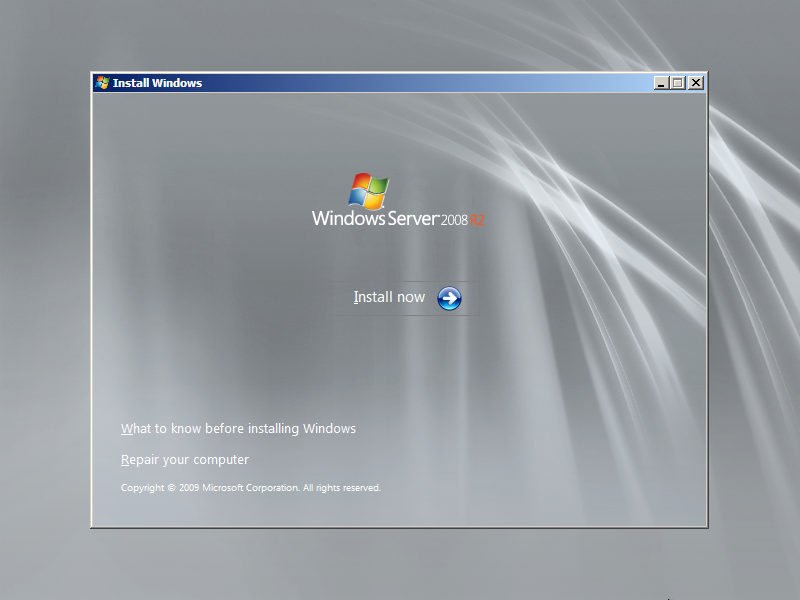 This procedure worked perfectly on my Windows 2008 Standard Server. I also forgot the password for my test server. Funciono!!! !, Muchísimas Gracias… hay que tener a la mano los drivers del arreglo raid , y arrancar la maquina en modo Boot UEFI. Perfecto. Me alegro que todo funcione ahora. Just used your solution, very impressed. thanks for sharing it with us. i just used it it is awesome i am a student and it was really a time saver for me. Trick worked perfectly here. Thank you. My Virtual PC won’t go into full screen mode so I can’t send the Windows Key + U to the VPC. Apparently that only works in FS mode which I can’t go into unless I log it. I thought about buying PCUnlocker but I’m a little bit uncomfortable giving credit card info to that site. I’m wondering if this will work even if Im running two SATAs as RAID!? Will it find the HDDs!? 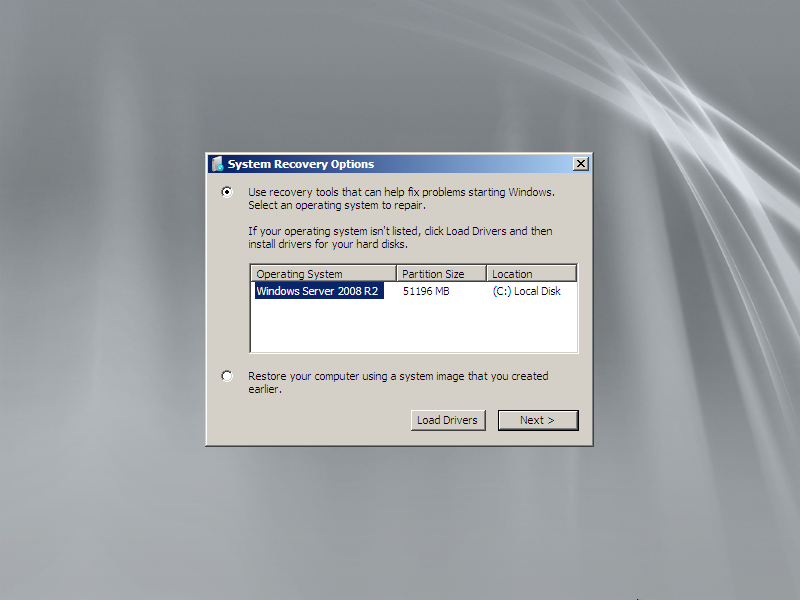 i works with windows 2008 R2 that was a member of domain. i was getting trust error msg when i tried to login the domain from this computer. so i tried this solution and it worked , joined it back to the domain. Also, if you just click LOAD DRIVERS. You can rename the files like normal and don’t need to actually use the dos commands because you can navigate like normal through the folders. 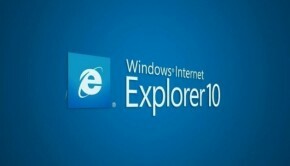 if you load into Windows and browse using Windows Explorer, can you see the file? Thank You so much!!! I had been trying to reset the password of a Windows 2012 R2 Domain Controller with lot of methods but the good one is yours. Worked great. I’m sure you saved me a day’s worth of work. Love it Love it Love it. Worked perfectly. Sooo simply and no need for third party tools. Thank Youuu. Thanks a lot. Worked like a charm and saved me half a day of messing around downloading and iso´s and burning cds or pen drives. Bit worrying how easily the password can be changed if you have physical access to the server. A great example of why servers should be in a locked room with limited access! Hi what is the workaround for Non-domain system? Thank you very very much . Thanks a million, man! It helped me a lot! Thank you for this tips. Have to use it time to time. On my system it’s a bit different though. The Windows\system32 is on D. instead of C. Therefore if you see nothing when C: and dir then you should try different drive letter. I just want to say thanks for such clear and concise instructions! We restored about 20 virtual servers and three lost their admin passwords. Note that with VMware when you choose the repair option it doesn’t always map the Windows drive to C:. 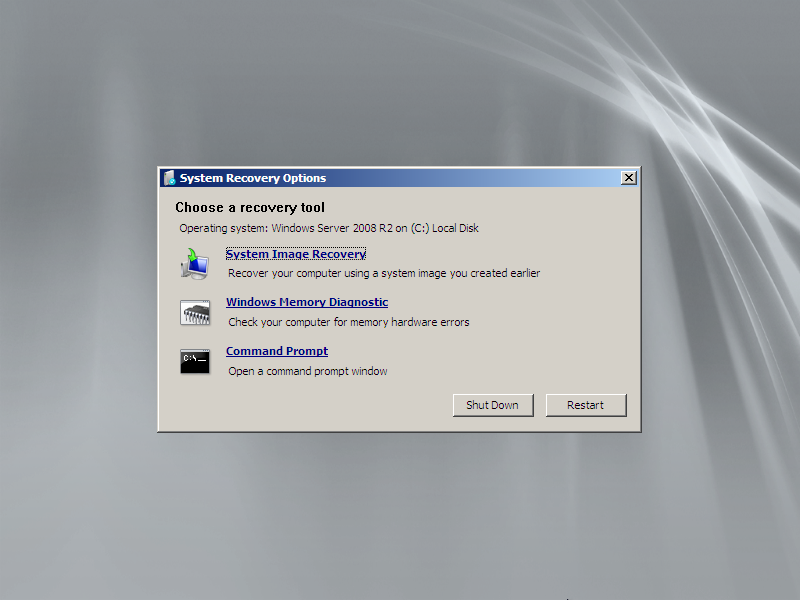 It tells you where it is in the ‘System Recovery Options’ box (where you select ‘Command Prompt’). I will add a free tool named Lepide local user management tool which is available free and helps to reset admin/users passwords within few clicks.